Gorgeous, huh? It’s such a statement piece and it’s only about $13—not bad at all for such an ornate piece of jewelry! 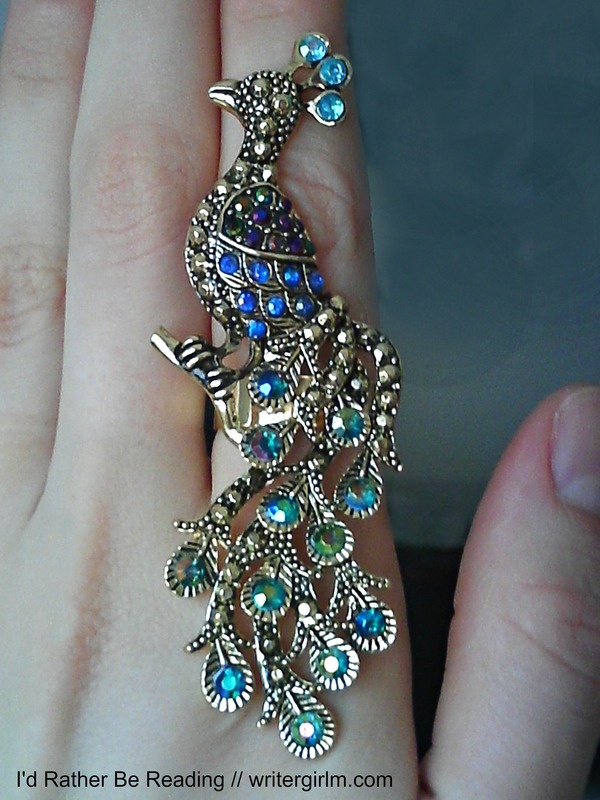 This peacock ring is now out of stock online, but you can shop more awesome accessories through the Icing website. 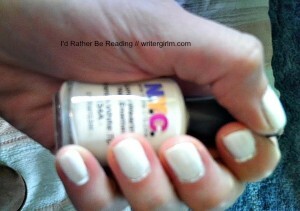 Wet n Wild Fergie nail polishes! I finally spotted the new Wet n Wild Fergie nail polishes at Walgreens—but let me warn you, if you’re hunting for the display, snap up any colors while you can: the displays are emptying out FAST and there’s no word on whether these polishes will move to a permanent fixture anytime soon! I managed to scoop up three bottles of the limited edition polish, shown here. There are a couple dozen shades on the rack, from brights to glitters to metallics, but these are the three that really caught my eye: Grammy Gold, Glamorous, and Tonight’s Gonna Be A Good Night. 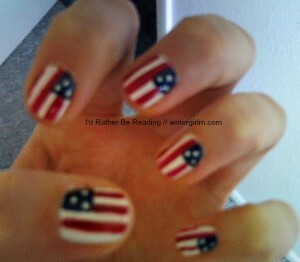 How-to: American flag nail art for the Fourth of July! 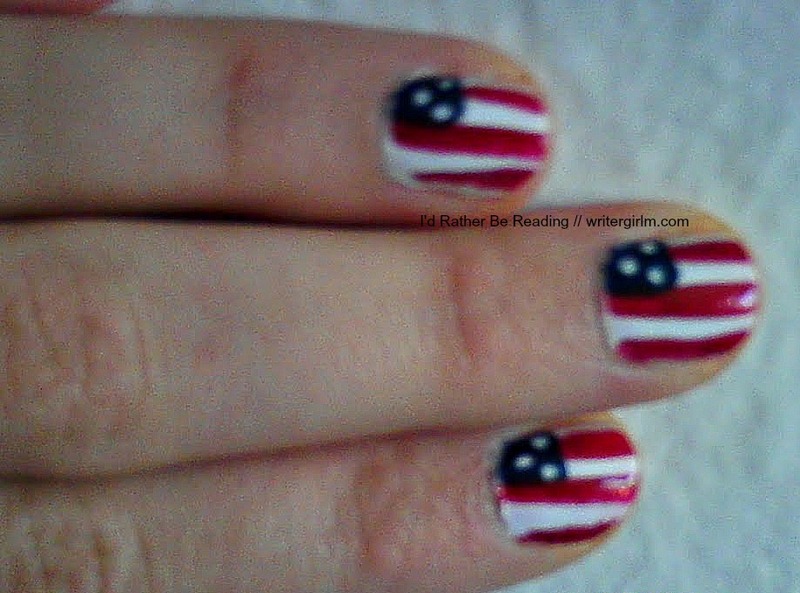 Since today is Independence Day, I thought I’d experiment with some American flag nail art. First, I started with a layer of base coat and three thin coats of white nail polish. This gave me a nice, solid background for the flag. Make sure you let each coat dry thoroughly before applying the next one; if your nails still feel tacky when you touch them together, give them more time. Next, I added a small square of navy blue in the lower left-hand corner of each nail. You might need to apply two coats to get a nice, deep blue. Once that was done, it was time to add the stars and stripes. 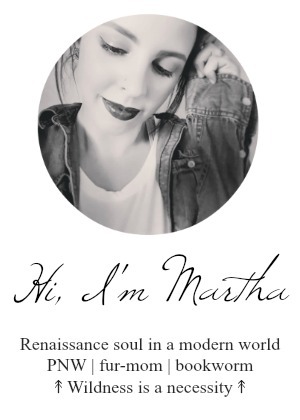 I used a $3 angled eyeliner brush from E.L.F. 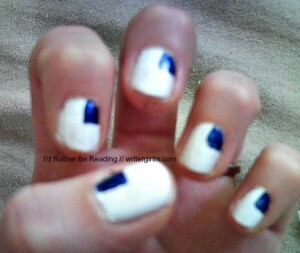 to add the small white dots for “stars” on each nail. For the stripes, any true red will do. Again, if you need to do so, use two coats to make sure the red is deep and the white “stars” really pop. Finish it all off with a couple of coats of clear top coat to protect and add shine, and you’re done! Investing in a good top coat is worth the extra $$$ when you’ve spent so much time creating artwork on your fingertips. Happy Fourth of July, everybody! Check out more American flag nail art on Pinterest.